Shop At These 5 Factory Outlets On ECR With Discounts Up To 50 Percent! East Coast Road has plenty of clothes stores and factory outlets to choose from, so we at LBB have put together a list of top five factory outlets on ECR that we think have the best offers and the best products for you to shop at. Everyone’s favourite family shoe shop, has its end of summer season sale going on as well as a large assortment of shoes that are up to 50 percent off. We found an amazing pair of beige leather Hush Puppies that would have costed INR 6,000, for just INR 3,000! There’s plenty of variety from what we found and not too many people know about the sale, so hurry here to get the best shoes quick. If formal/casual shirts for men are what you’re searching for, look no further than the Peter England factory outlet on ECR. They only stock shirts and have them from INR 1,000. What’s more if you buy two you get one free! Which means you can pick up a set of quality office/work shirts here for no more than INR 2,000. Value for money wise, this factory outlet is amazing. Finding this store is a little tricky as there is no pin on Google maps. 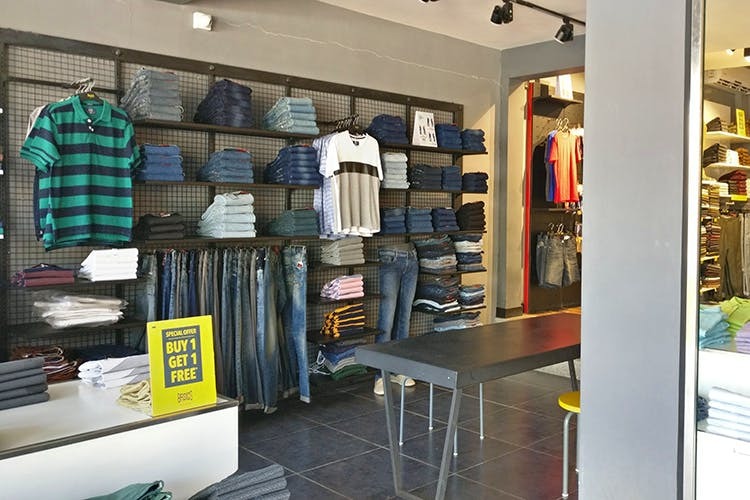 The best thing to do is to keep going down ECR (towards Pondy), after you pass the massive Louis Philippe store on your left (in Thiruvanmaiyur), in about 200 metres you should find the Peter England store on your left. Located a little further down the road in Palavakkam, the Adidas factory outlet has a year round sale on selected products. Being a factory outlet, we assumed that the items on sale would be the ones no ones looking to buy, but we surprisingly found a few good buys, like a really nice pair of blue trainers with a 40 percent discount. This store and the next one on this list are definitely worth going to if you’re in to fitness as there’s some really nice swag at discounts as high as 50 percent. Placed adjacent to the Adidas store, the Reebok Factory outlet also has a year round sale on selected products. There’s shoes, jerseys, shorts, track pants, socks and bags on sale and while not all of them were amazing, we were pleased to find a few really nice finds like graphic tees for INR 400. For all the women reading this, they’ve got sports bras on discounts as high as 40 percent! Not something you can find in most other sports stores in Chennai. The last one on this list, the Basics Factory outlet on ECR has to be the best value for money store on this list. Situated in Neelangarai, this Basics Factory outlet has an all year buy one get one free offer going on all their clothes! That’s literally a 50 percent off on all things there. That means great tee shirts, casual shirts and shorts for super cheap as that’s what we love Basics for. Budget menswear alert!